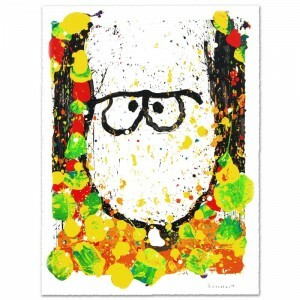 Master Artist Tom Everhart is the protege of famed “Peanuts” creator, Charles M. Schulz (1922–2000). 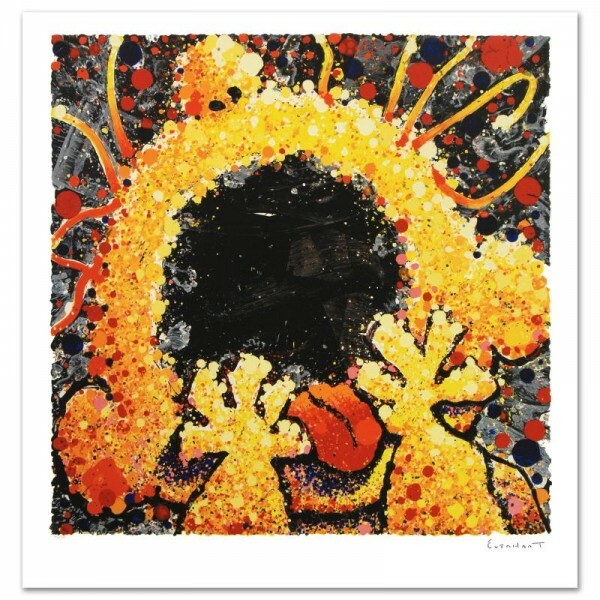 As the only artist in the world granted the rights to draw the “Peanuts” characters in his own work, Everhart creates vibrant, extremely collectible rainbow masterpieces featuring Snoopy, Woodstock and the gang. “Black Velvet Scream” is a limited edition hand pulled original lithograph on museum quality paper, numbered and hand signed by Everhart! Includes Certificate of Authenticity! Measures approx. 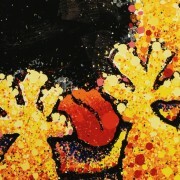 36″ x 37.5″ (with border); 32″ x 32″ (image). This artwork was created on one of two rare antique Marinoni Voirin lithograph presses that date back to the 1800’s, and are reputed to come from the Paris print shop used by Henri Toulouse-Lautrec. There are only 7 of these magnificent beasts left in the world: the smaller one (with a print bed size of 25″ x 35″), weighs 9 tons, and the larger one weighs in at 11 tons (print bed size 31″ x 47″). The significance of this is that the lithographs produced by this method are of the finest quality, using techniques that are so labor and time intensive that very few master printers know how to operate and care for these presses today. Each lithograph is created with hand-mixed colors applied one at a time – a highly trained and synchronized team must hand feed each museum-quality sheet of paper through the press numerous times in order to set the colors and impressions, while the Chromist – a trained color specialist – adjusts each color by look and feel to match the original artwork, as if mixing a potion. 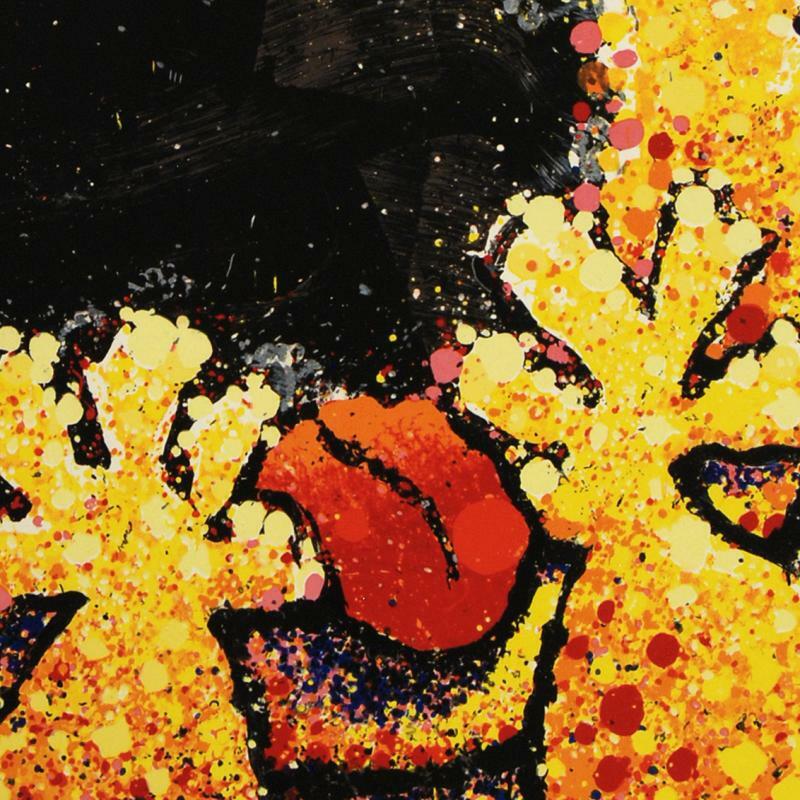 The result is an image with maximum pigment saturation, formed through rich layers of color that imbue the artwork with a permanency of brilliance – proven over centuries to last. In contrast, today’s printers use a method more akin to a dot matrix style application, with the colors all premixed and sprayed onto a sheet in a uniform layer, resulting in a much less saturated image that is susceptible to fading and imperfect color reproduction. 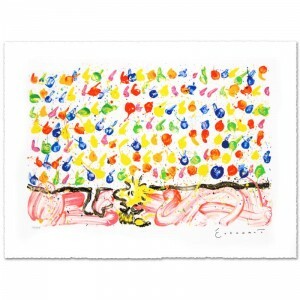 This is one of the final Tom Everhart editions to be printed using this very special technique. 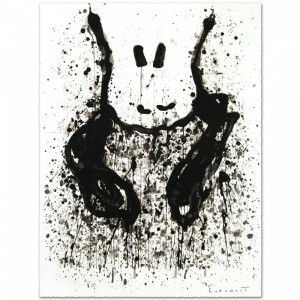 “Black Velvet Scream” Limited Edition Hand Pulled Original Lithograph by Renowned Charles Schulz Protege, Tom Everhart! 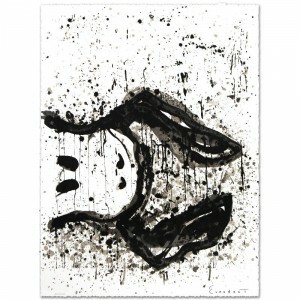 Numbered and Hand Signed by the Artist, with Certificate of Authenticity!